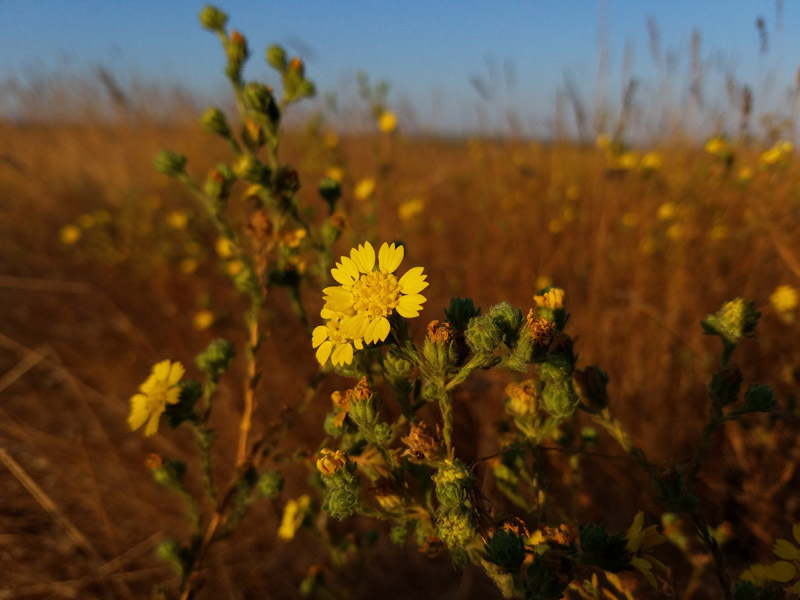 Livermore tarplant is the first plant in nearly a decade to be added to the California Endangered Species list. 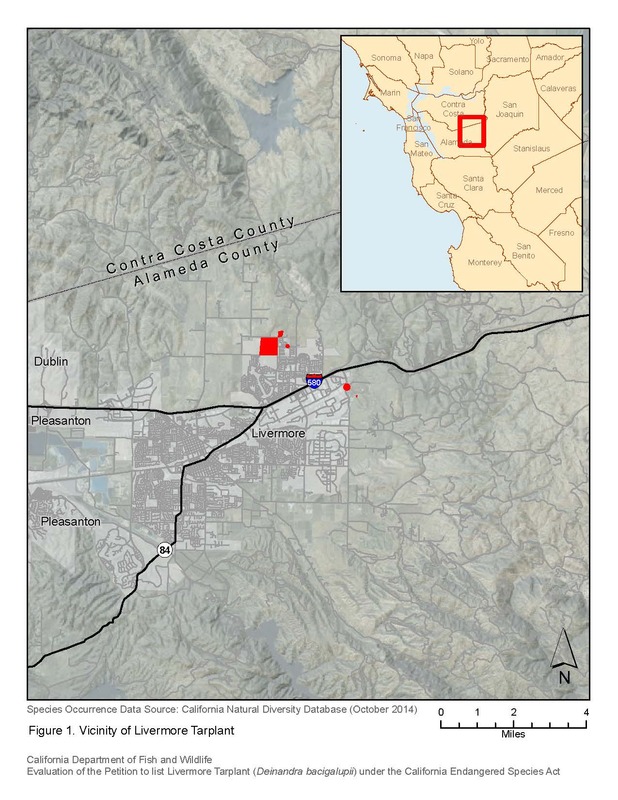 First described as new to science in 1999, the Livermore tarplant is known from only three occurrences within 90 acres of the Livermore Valley in Alameda County. These occurrences are located in areas that are subject to frequent disturbance, including road construction, off-road vehicle use, and application of herbicides. These challenges, in addition to encroachment and competition by non-native species, threaten the survival of the plant. Fortunately, its new status as a listed species affords the Livermore tarplant the highest level of legal protection in California. Map from the California Department of Fish and Wildlife. This entry was posted in Endangered Species, News, Rare Plants. Bookmark the permalink.